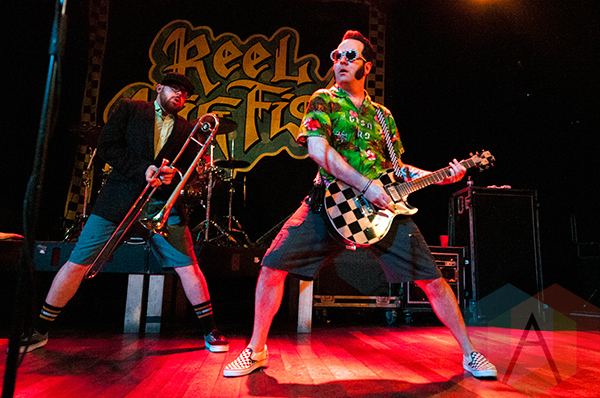 Want Reel Big Fish to Play at YOUR School or Event? Did you know our band LOVES playing at colleges? 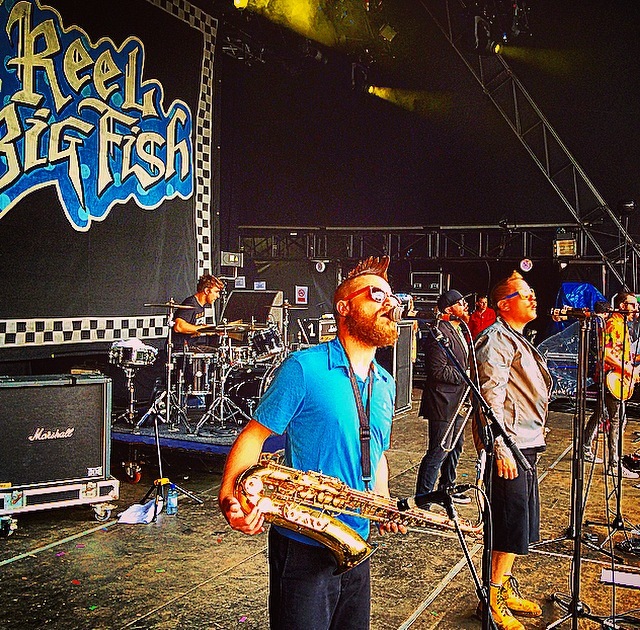 We play lots of fall and spring concerts at colleges every year, if you want Reel Big Fish to play at your school, have your events people contact our booking agent! 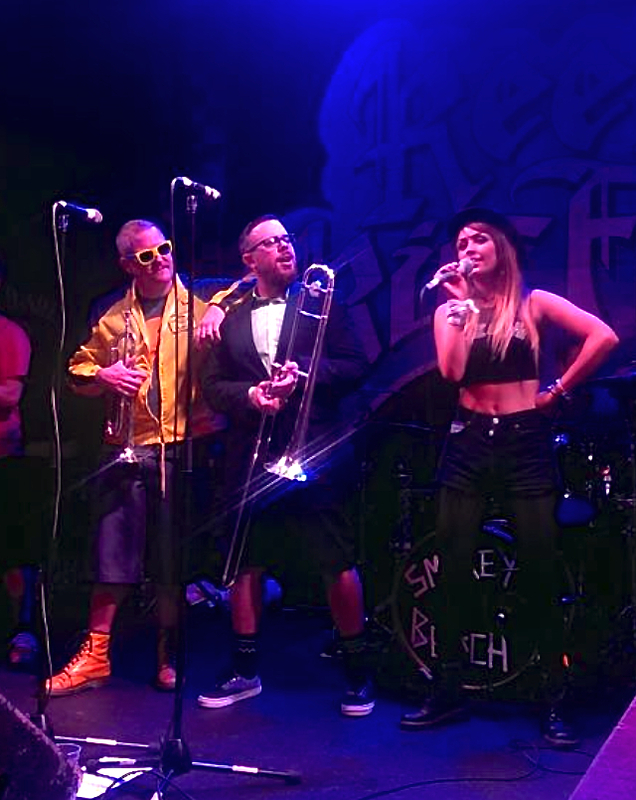 We also love playing at breweries, beer festivals, and pretty much anywhere where there’s people who want to dance to fun ska music, we’ve even been known to play a wedding or two now and then! 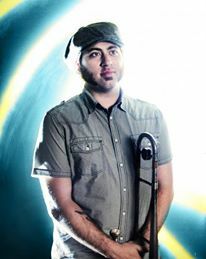 Get in touch with our booking agent today! It’s been exactly 20 years since we debuted our song “Beer” at a small club in Long Beach, CA. 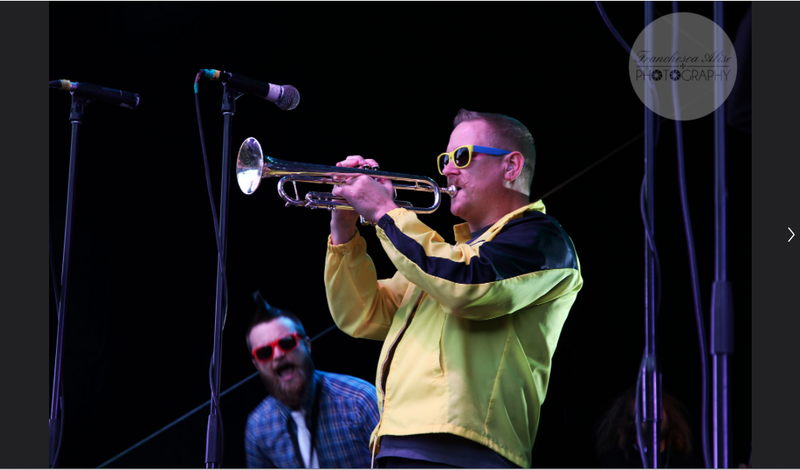 Our horn players at the time had just quit the band so Aaron Quickly scrambled to write a few songs with no horns for the upcoming show. The setlist also included “Go Away” and “Why Do All Girls Think They’re Fat”. 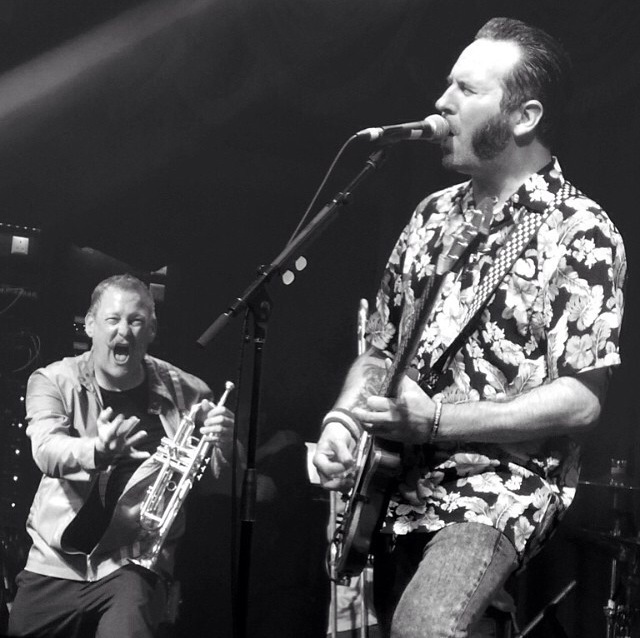 When we went in to the studio in 1996 to record “Turn the Radio Off” our producer/record label president INSISTED that we add horns to this song because we were a “horn band”. Times sure do change because when we were recording “Why Do They Rock SO Hard” in ’98 that same guy who forced us to add horns to Beer asked us for a “No Horns Mix” of the album because horns were “Out” in the music industry. We of course refused as you can tell…any way, if you’re still reading this, you must be really bored! Have yourself a beer and enjoy the video!! 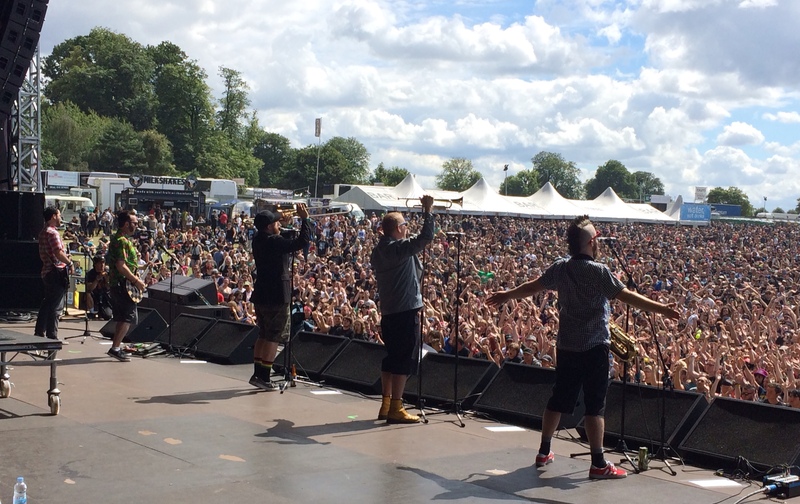 the Don’t Stop Skankin’ European Vacation is over…here’s some pics to prove it actually happened! 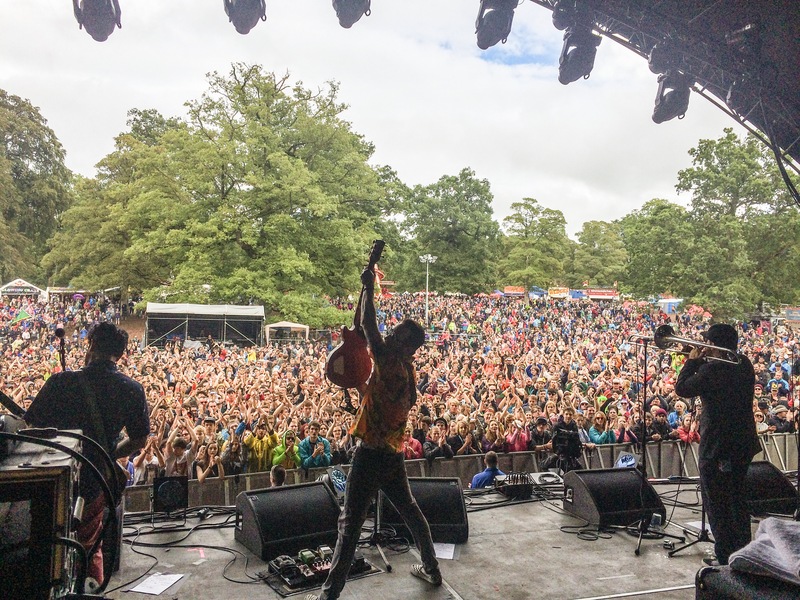 We just got back from our 7 week UK/Europe tour and we just can’t believe how amazing it was! 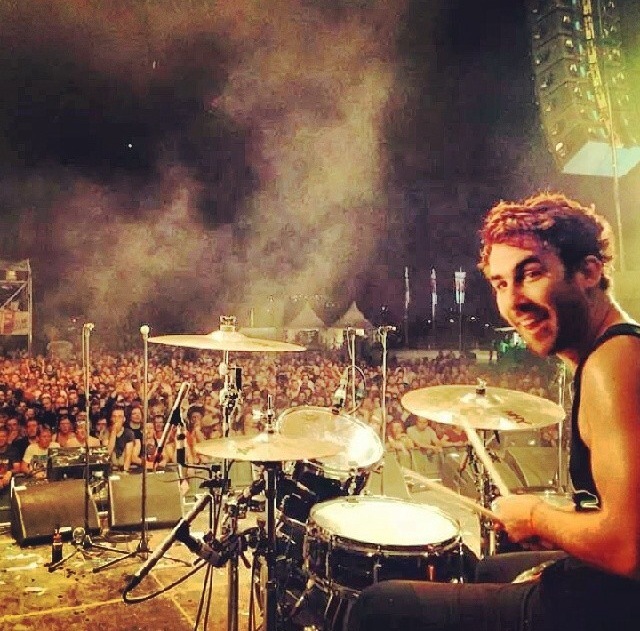 All the club gigs and festivals were so much fun, there wasn’t one bad show on the whole tour! We made lots of new friends and got to hang out with some old ones too! 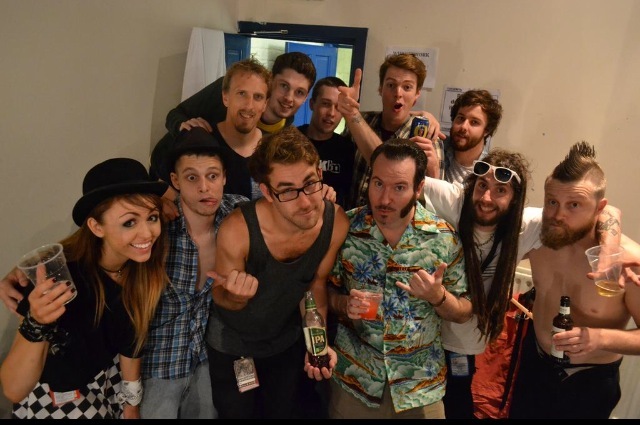 Awesome to see our friends from Sonic Boom Six, the Skints and Coolie Ranx too! A reel big thanks to everybody who came out to see us play and support us, you guys rule! 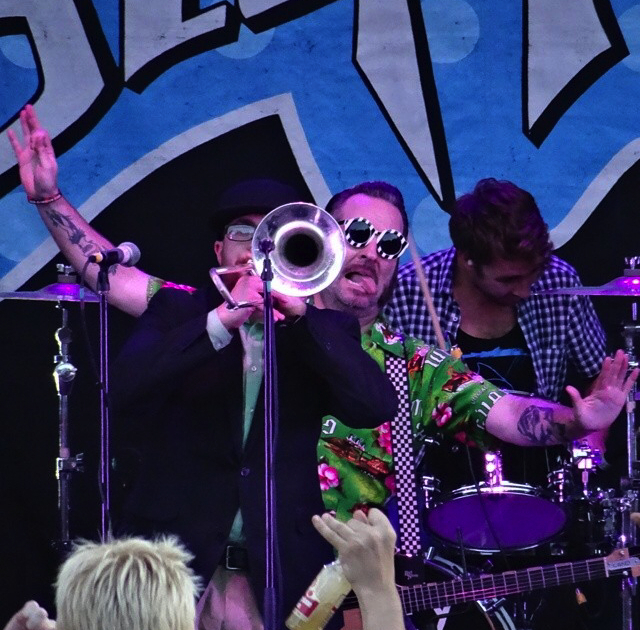 A huge thank you to Ed Larsen from Suburban Legends for filling in on the drums this time around while the Rabbit AKA the Red Nightmare AKA Ryland Steen was off playing with the band America. 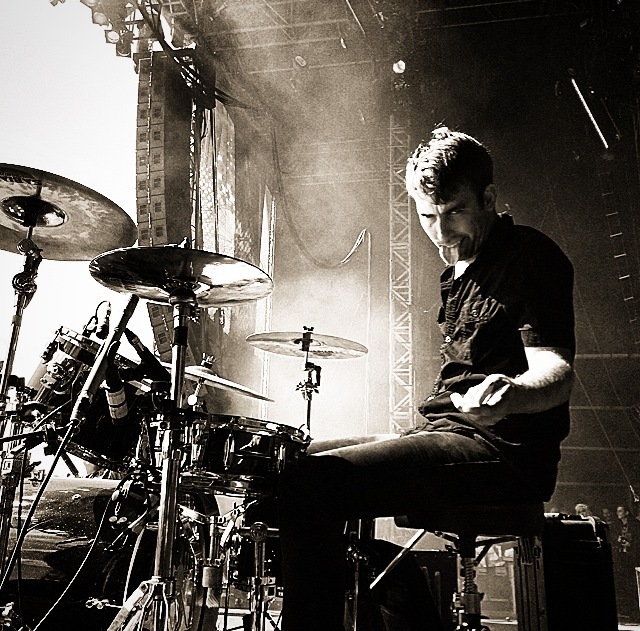 Ed is an awesome drummer, a swell human being and he makes one hell of a delicious margarita! 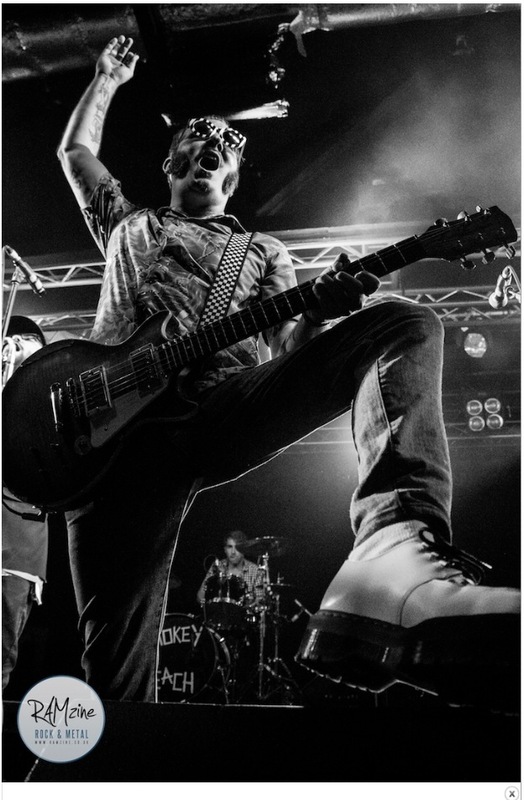 Also, huge thanks to the Magnus Puto and the Jellycats for supporting us at the UK club shows. Special thanks to Emma from the Jellycats for singing with us every night on “I Know You…” and “She Has a Girlfriend Now” too! 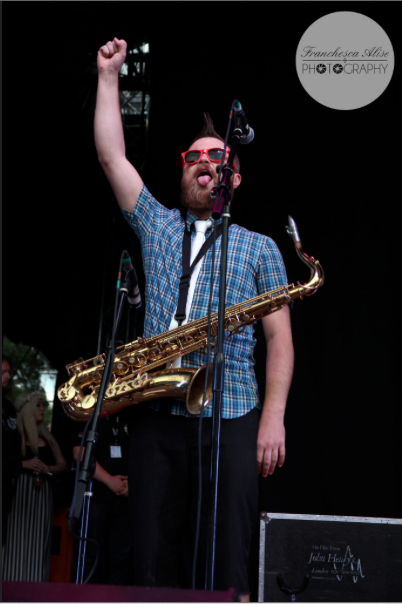 And a gigantic thank you to the Sigourney Weavers and Band Geek Mafia for their support on all our German shows! 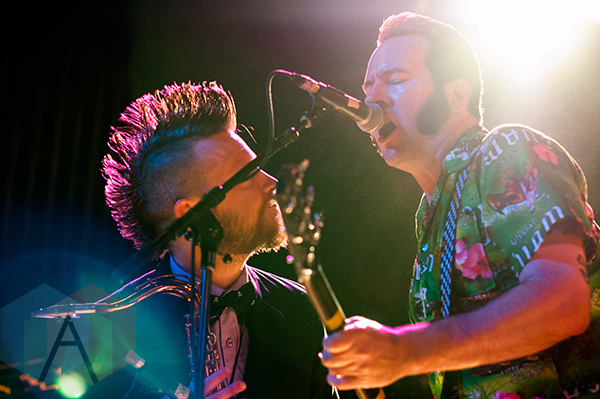 Great bands, great people, good times, that’s what a Reel Big Fish tour is all about! Now it’s time for us to relax at home and have ourselves a beer before we head out on tour again! Thanks to our new friends in Survay Says! 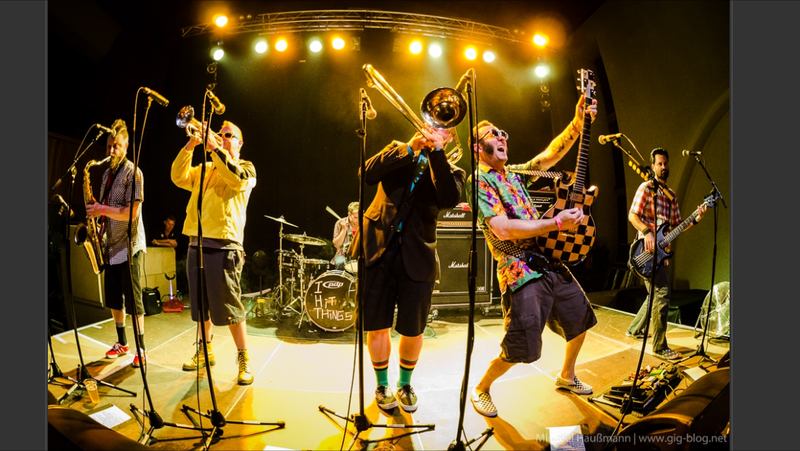 for joining us on the 4th leg of the Don’t stop skankin’ tour! Awesome band and a fine bunch of gentlemen! It was a skatastic tour! 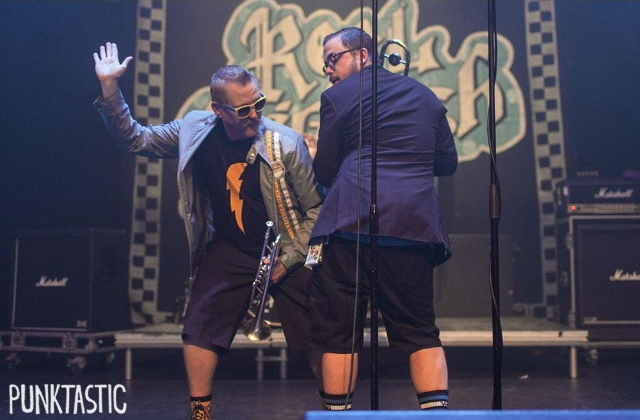 Special thanks to all the local ska bands that opened up for us at the shows! 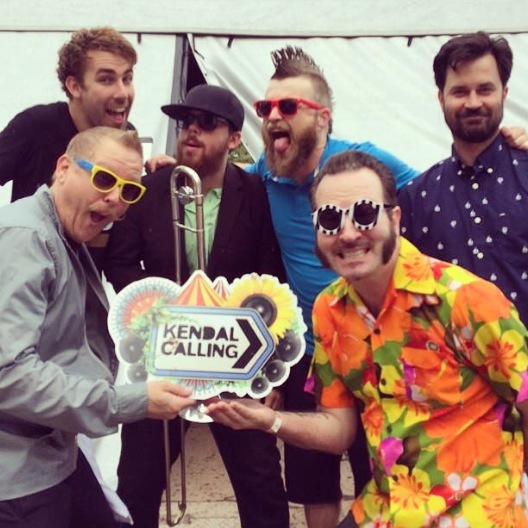 Good to see that people out there are still keeping ska music alive! you’re out of town 300 days a year). 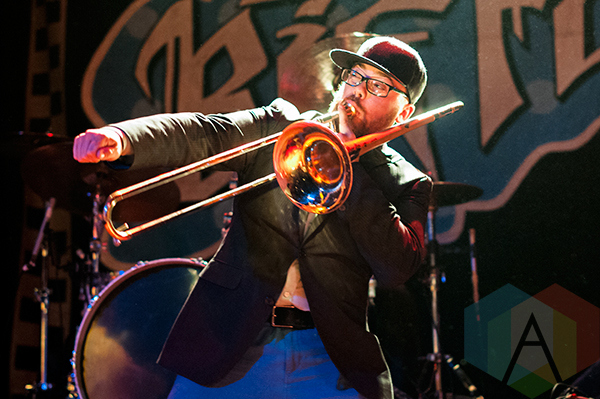 He’s also been rocking the trombone in this band since he was 16 years old (over half of his life!) and he’s decided he wants to make a change and pursue his dream of opening a brewery (ya gotta respect a man for wanting to make beer!). We are gonna miss the hell out of Dan, we’ve been doing this together a long time and we’ve been through so much together in the last 20 years. We are truly sad to see him go but we totally understand why he wants to leave and we wish him all the best in his new life out there in the real world (instead of the REEL world). 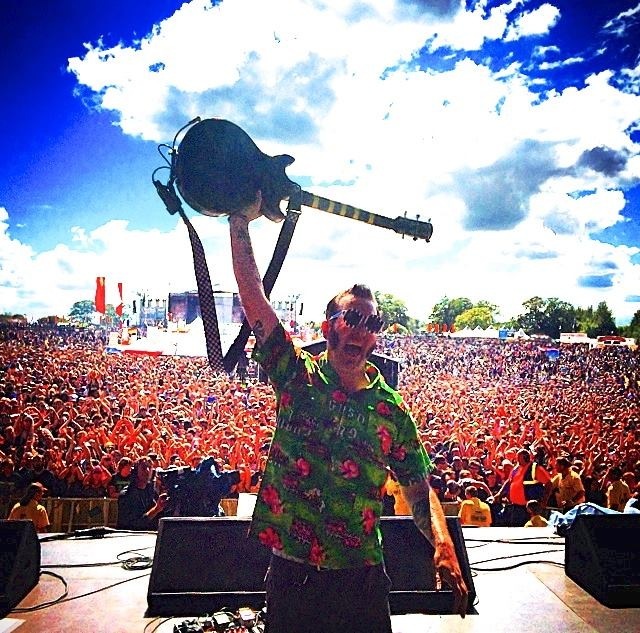 As for the rest of Reel Big Fish, we will continue to tour the world fronted by our original lead singer and song writer Aaron Barrett and hope to see you at the shows in 2014 and beyond. 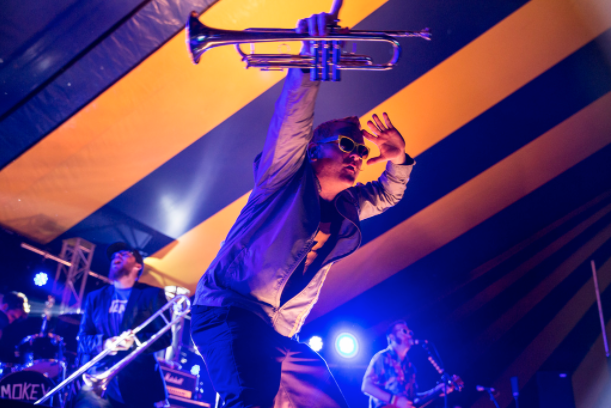 Joining us on trombone for our upcoming tours will be our good friend Billy Kottage who has recently played with the Pilfers and Big D and the Kids Table to name a few. Reel Big Dan Regan, here. 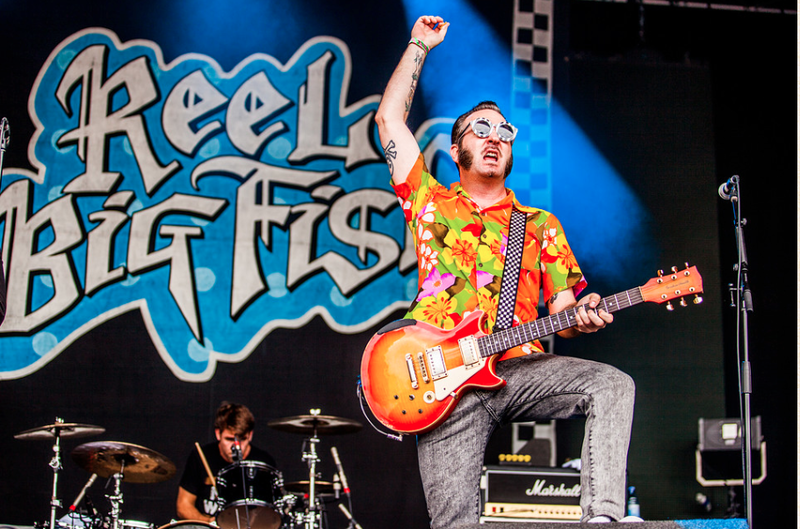 Sad news, friends: I am retiring from Reel Big Fish. It’s been nearly 20 glorious, action packed years, with all of you. At this point in my story, I am needed at home. I have two kids who deserve to have a father around. While I’ve enjoyed watching you kids grow up (and keeping you older kids young), I feel that the best thing for me, right now is to jump off the road and get a job at home. I just miss my children too much, when I’m gone. 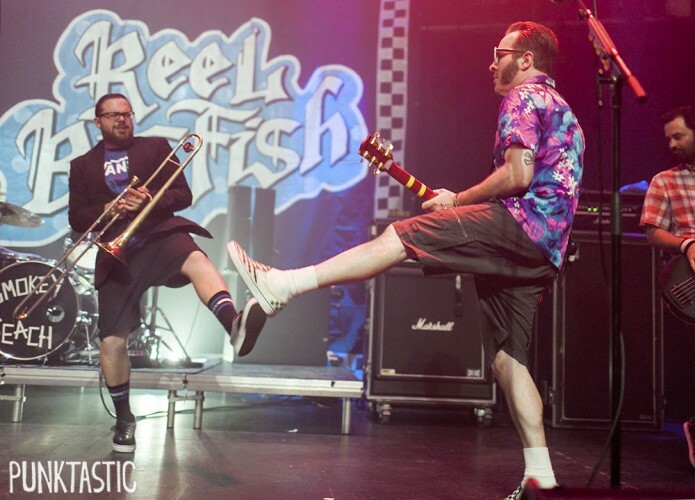 The Reel Big Fish guys, because they’re the best ever, have generously told me that I’m welcome back, any time. So don’t count me completely out. I may see you all yet again; especially at local LA/OC shows.This has been a great adventure and I couldn’t imagine spending it with better dudes. 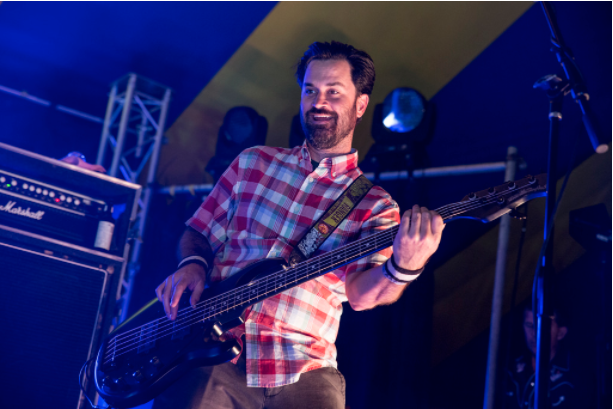 Aaron, Johnny, Ryland, Matt, Derek and the crew: Tom, Dave and Hoss – are some of the best friend I’ll ever know. Take care of them, for me. Show them you’re the craziest, most loving fans in the world. There’s lots more RBF touring in store: South America, North America, Australia, UK and Europe… it never ends. 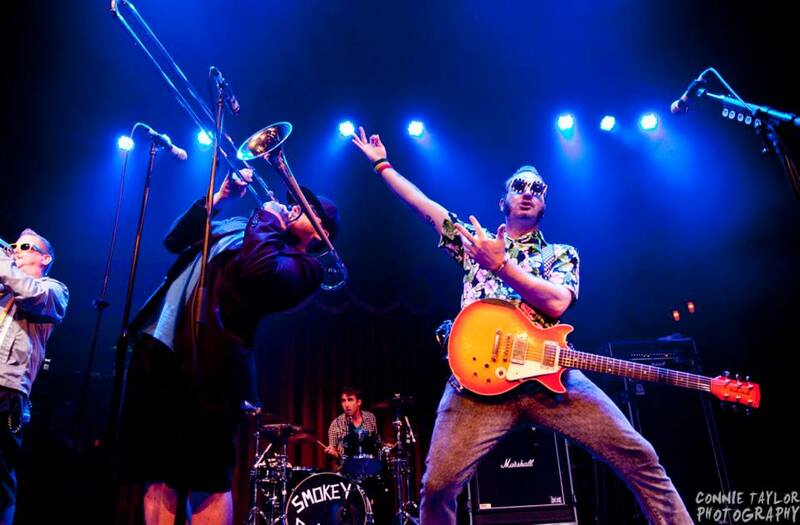 Go to these shows and rock out like maniacs. 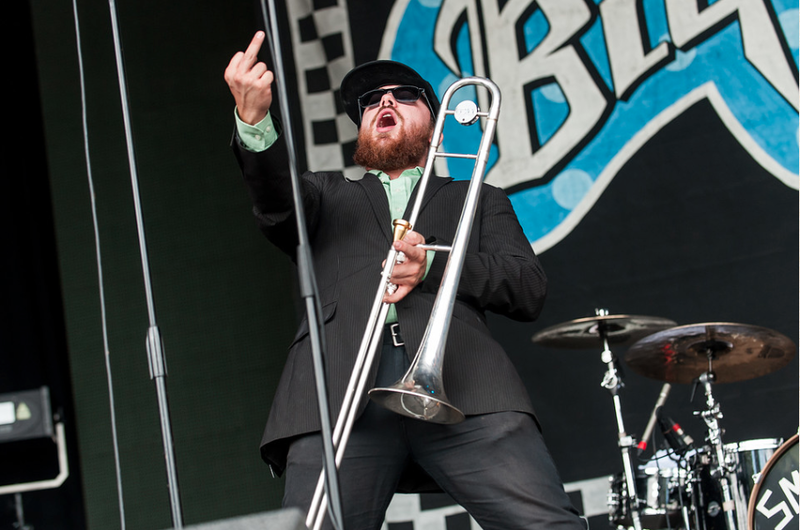 I want to hear your screams from all the way over here in Long Beach.Thanks so much for always bringing the party and treating this old trombone player like a rock star. From causing a riot at the Tower WOW record store, because we were just too handsome… to visiting nearly every brewery on planet earth, it’s been a wild ride. I venture to Valhalla to feast with past members of RBF. We’ll link arms and sing the praises of our brothers still in the fray. By next year, I should have finished building a brewery. We’re calling her: Liberation Brewing Co. (LBC). If I cant tour and party with my friends, the next best thing would be to create a place and make them come to me. When you’re old enough, head to Long Beach for a pint and some tunes. I’ll be waiting with open arms. I love you all so much. Keep dancing crazy, Be good to each other… and I’ll see you all in another life. 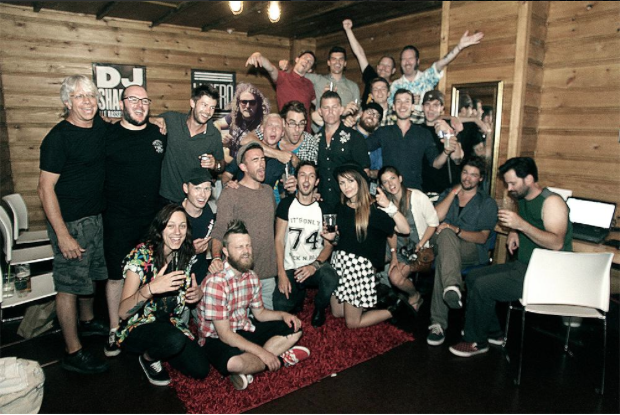 Our Tour is Over…Time to Go on Tour! Finally back home after a long, hot, sweaty, noisy, sticky, stinky, sunburned, dirty, dehydrated, drunken and all together awesome Warped Tour 2013! We had an amazing time! Reel big thanks to everybody who came out to see us play, checked us out while they happened to be there or glanced in our direction as they waked by during our set! 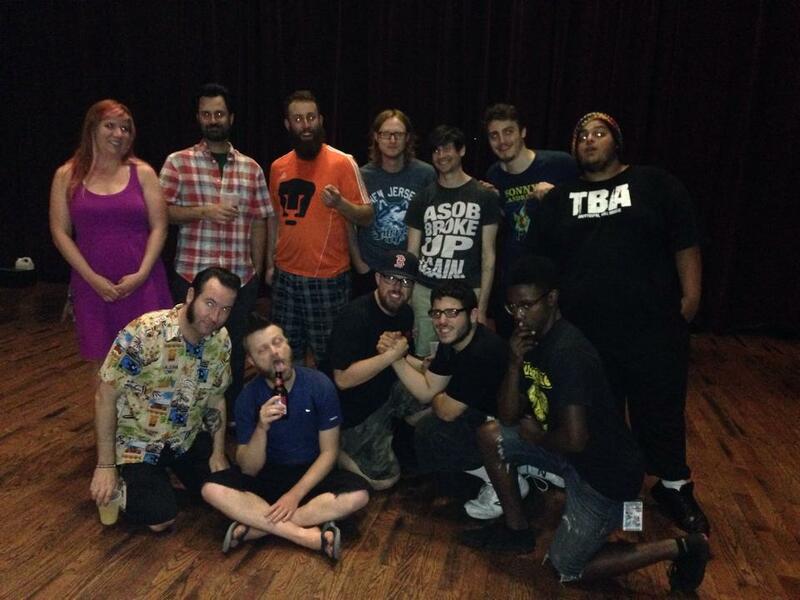 Glad we could make some new fans and friends! And thanks to all the Warped crew for making it all happen and to Kevin Lyman for letting us play our 5th USA Warped tour since 1997! 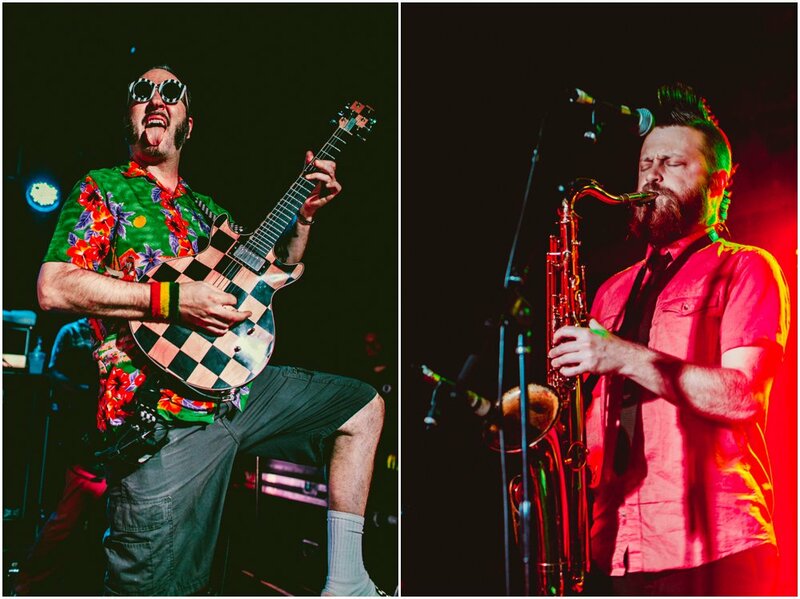 Next up: South America in Oct., USA tour w/ Goldfinger in Nov. (dates up soon) and then We hit the UK in 2014 w/Less Than Jake and Zebrahead! 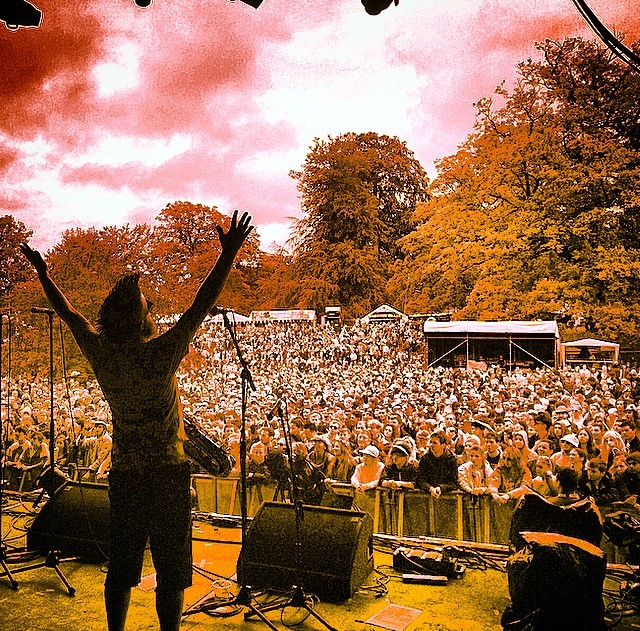 See ya soon and Don’t Stop Skankin’! February 22 – 26th 2014 we’ll be playing on The Rock Boat a cruise ship that takes you from Miami, FL for 4 days around the Caribbean! We’ll be doing 3 different sets; 2 on the boat and one on the island of Great Stirrup Cay. Lots of other bands and fun times to be had, come join us! Book your trip now! We’ll be playing on the entire USA leg of the Warped Tour this summer! We hope to see ya there! 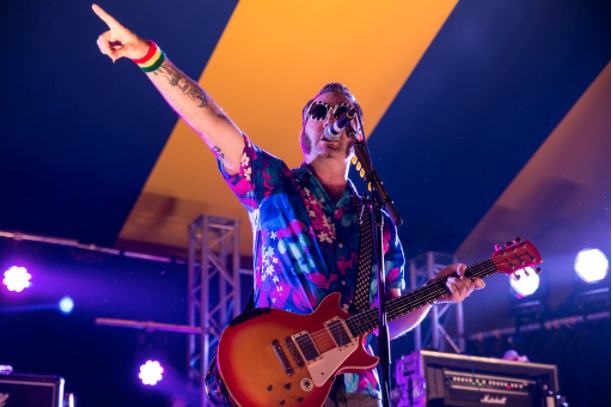 Check the tour dates section of our website for all the dates! Good news everybody! Our NEW ALBUM “Candy Coated Fury” is available in stores and on-line right now! 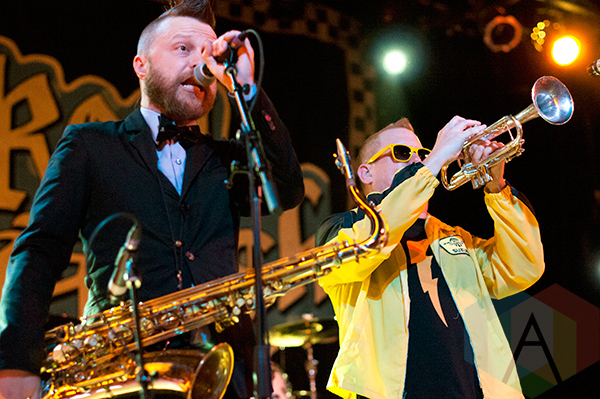 Pick it up today, we swear you’ll have a Ska-gazm! 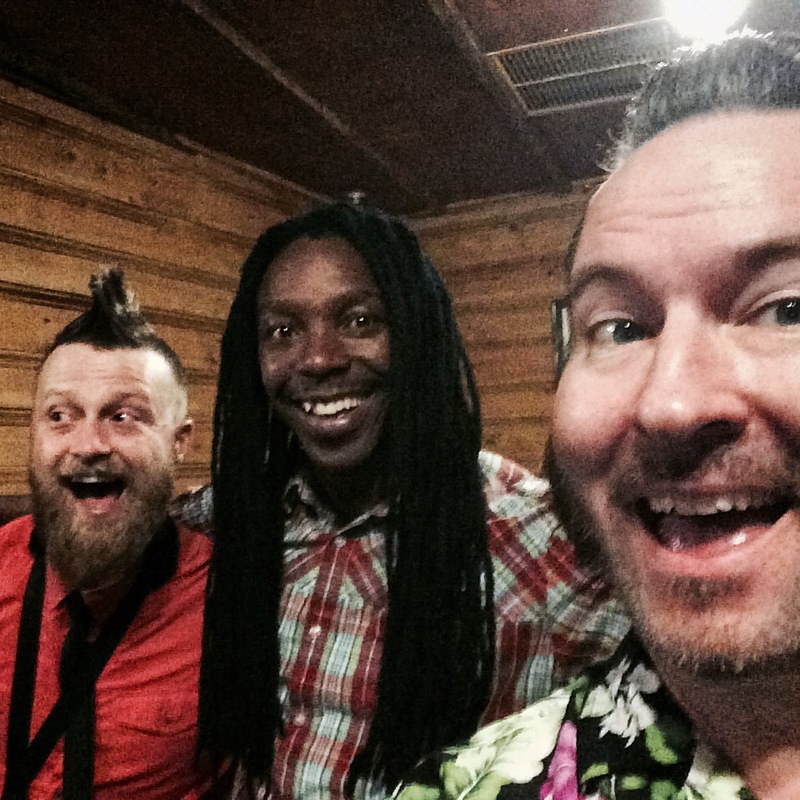 We have some brand new music videos for songs from the new album that you should check out! “A Best of Us for the Rest of US” Super Bonus Deluxe Edition Now on iTunes! 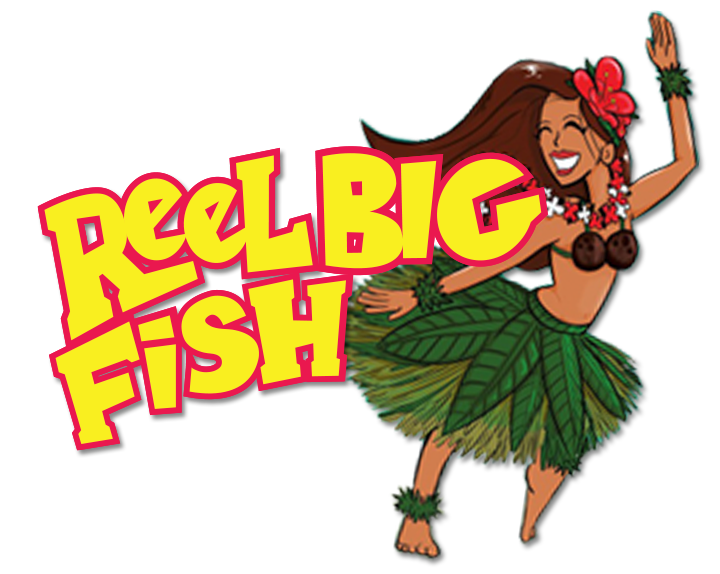 All the Reel Big Fish “Best Of” in one digital place!! 78 tracks of Hits, Covers and Skacoustic goodness for just $19.99! !